What a terrific play by Joe Thomas to time his leap to bat that pass at the line of scrimmage. 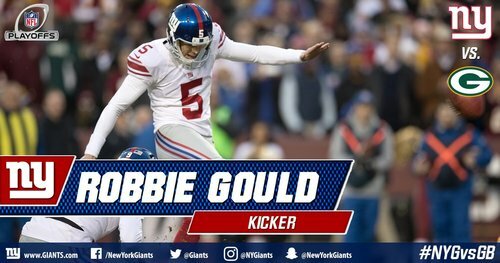 Forces a field goal and it's 6-0 #NYG . 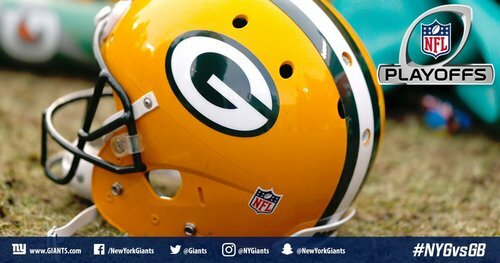 The Giants have outgained the Packers, 194-7. Yardage: Giants 194, #Packers 7. Passing yards: NYG 162, Packers 2. Packers so lucky it's only 6-0. They've been outgained, 194-7, and yet the #Packers are only down 6-0 and can take the lead with a touchdown drive here. Jeff Janis with a 33-yard return to give the #Packers good field position. Probably his best special teams play of the year. That's another mistake by Aaron Rodgers. Heaved the ball to a side of the field with no WRs. Intentional grounding kills the FG chance. Intentional grounding takes #Packers out of field goal range. Aaron Rodgers now 6-13, 54 yards, 57.9 rating. #Packers need a momentum-shifter here. Defense has taken the ball away like crazy of late. Can they get one here and turn the tide? #Packers ILB Blake Martinez is down injured. Joe Thomas came into the game with a back injury that has bothered him for a couple weeks. A couple #Packers immediately waved over the medical staff after last play. Rookie ILB Blake Martinez still on the field. #Packers ILB Blake Martinez walked off on his own power, but looks dizzy. Replay looks like #Packers ILB Blake Martinez got rolled up on, why he was walking gingerly. #Packers OLB Julius Peppers turns 37 in 10 days, but still getting big sacks. He now has 4.5 playoff sacks in three seasons with Green Bay. #Packers defense is keeping them in it so far. They're playing pretty well at important times. The way Brad Wing is punting, that's as good as a takeaway by #Packers defense. Big opportunity here. Aaron Rodgers just stood and fired, his best throw of the day. And #Packers are inside the 10. And #Packers QB Aaron Rodgers just broke NFL Madden again. ****. What a play. Rodgers holds and holds and scrambles left to find Adams for the touchdown behind Coty Sensabaugh. #Packers now in front, 7-6. Blake Martinez (knee) is questionable to return for the #Packers .